Today marks the start of my first ever Book Week. 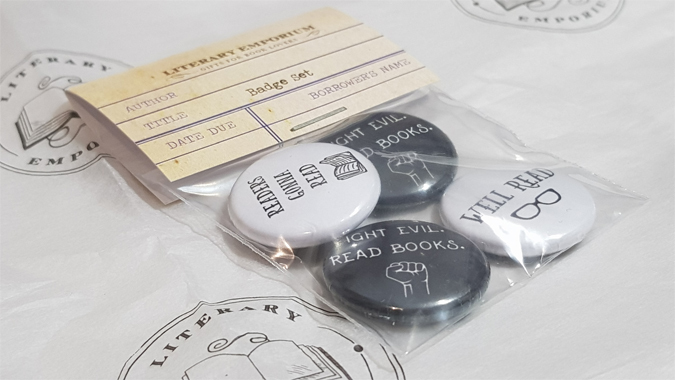 I’m on the Bookstagram Tour for Bibliophile later in the week and decided to go all out with seven consecutive days of bookish content – including three giveaways! 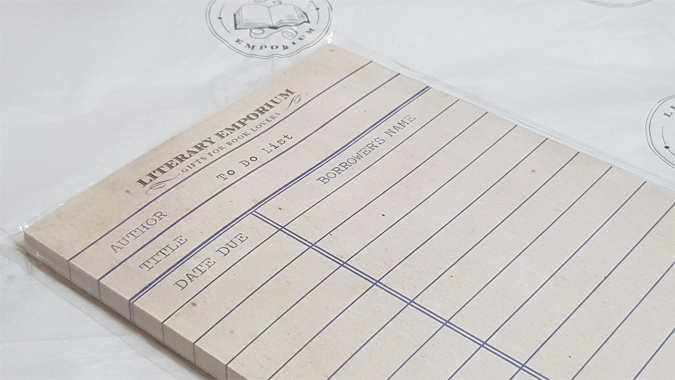 For my first Book Week post, I’ve teamed up with Rio from Literary Emporium. What I particularly love about working with Rio is her attention to detail when it comes to the little things. 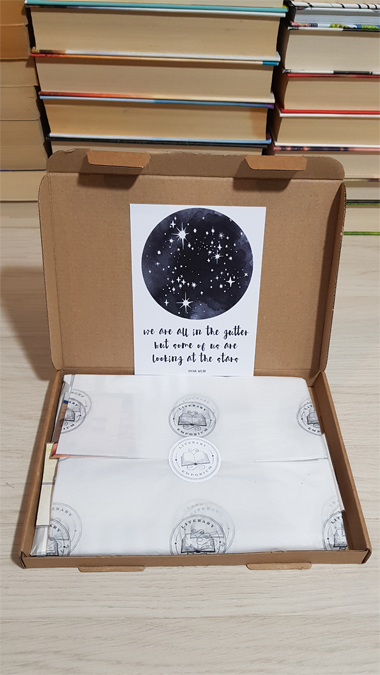 I don’t know about you but I get super excited to get any post which isn’t a bill, and she makes every package extra special, down to the wrapping paper, stickers and complementary notes. 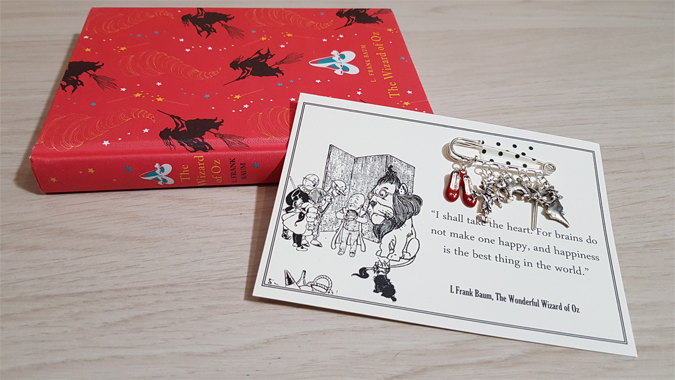 The highlight of my package was this wonderful Wizard of Oz brooch. The Wizard of Oz is one of my all-time favourite films and I’d been meaning to read the original book for a while. I spotted this stunning edition in Waterstones last year and treated myself for Christmas. Of course, in the book the slippers are silver but they were changed to red for the film as Technicolor was still a novelty. 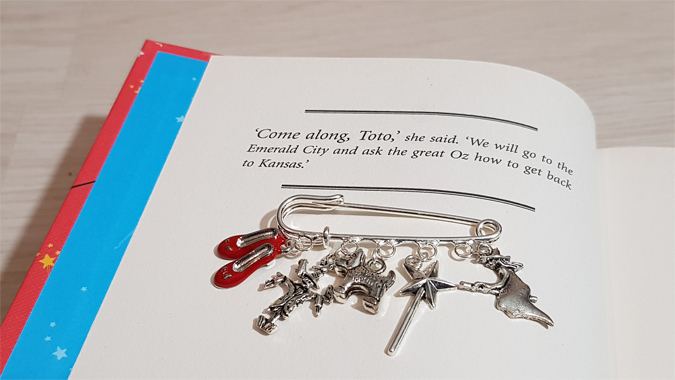 I love that the brooch caters for fans of the book and film, with the charms highlighting the ruby slippers, Toto, Glinda’s wand, the Wicked Witch of the West, and Dorothy’s friendship with the scarecrow. Love this brooch as much as I do? 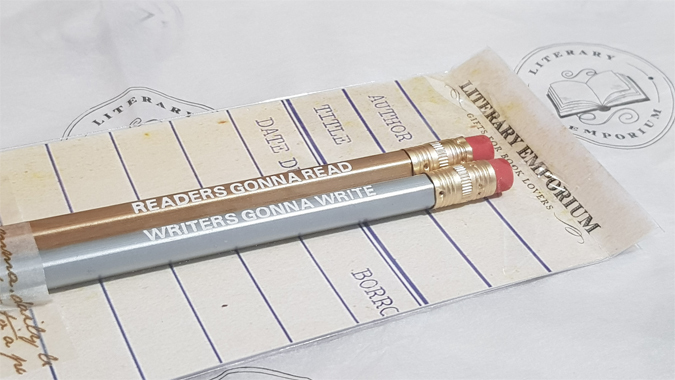 I’ve got one to give away, plus some other Book Lover goodies! 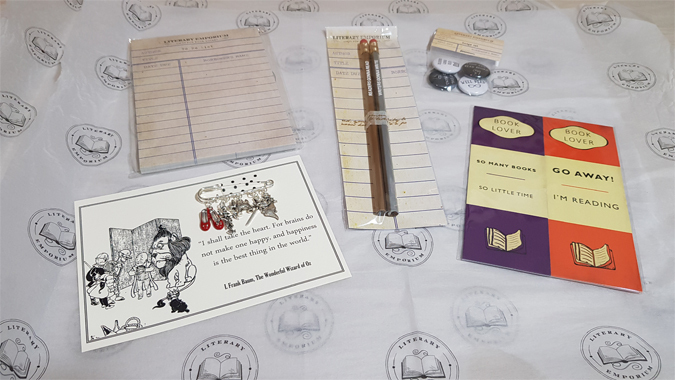 The prize also includes a badge set, two bookmarks, a to do list pad and set of pencils. To be in with a chance of winning, just complete the Gleam entries below before midnight Sunday 7 October. A winner be drawn at random and contacted directly. They will have a week to respond before an alternative winner is selected. UK entries only. 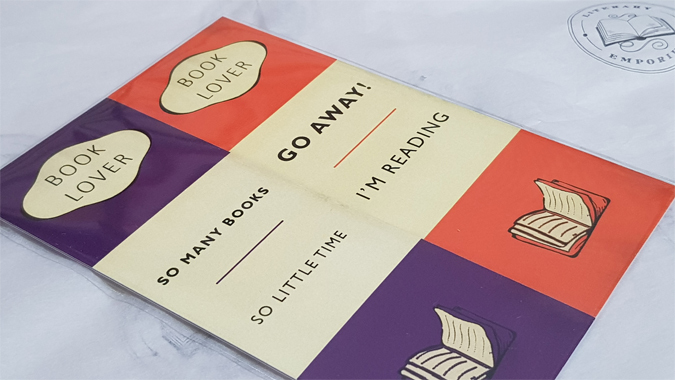 Pop back tomorrow for more bookworm goodies. My favourite book is Game of Thrones (couldn’t watch the TV series tried to, twice, but didn’t get past the first episode) I have read it so many times because of the loooonnnngg wait between books I decided to read from the beginning when a new book was released. My favourite book is To Kill a Mockingbird. The brooch is so gorgeous! What a lovely giveaway 💜 I’m not sure I’ve got a favourite book but I love Howl’s Moving Castle by Dianna Wynne Jones. 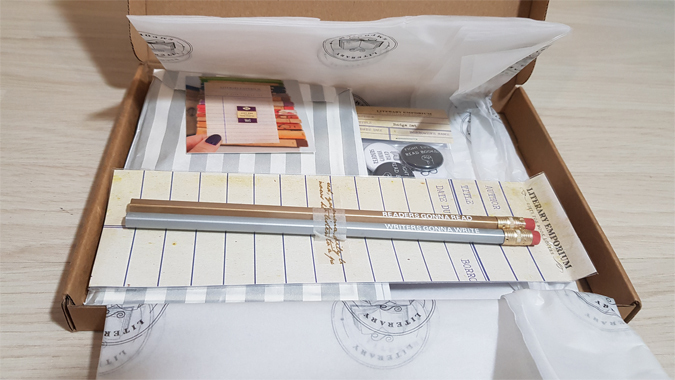 I absolutely love those pencils!